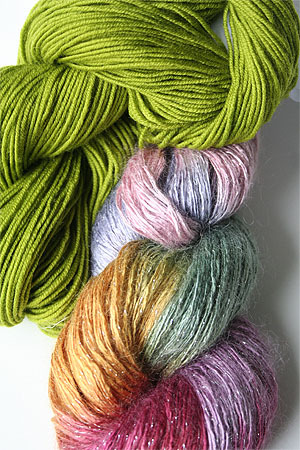 Silk Rhapsody Mohair Glitter Light Yarn in 1015 Silver with UM4 297 from the book One + One from Iris Schreier! Gorgeous Candy Colored 1015 is one of Artyarns most popular yarn colors - here it's got the added enhancement of a strand of silver lurex, and is shown at left paired with UM4 297 - which is used in the Infinity Cowl from Designer Judith Rudnick Kaye. 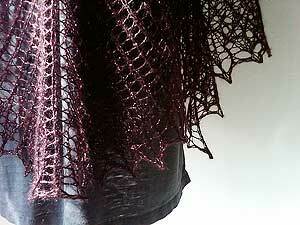 This is available in a kit: Infinity Cowl (to accompany the book).